Four in 10 women believe their looks are at their peak the year before the big 3-0. Almost six in 10 women polled said self-confidence at that age made them feel good. The rosy cheeks and fresh-faced looks of their teenage years might be gone but it seems that’s no impediment to beauty, after a survey found that women feel most beautiful at the age of 29. Although the majority remain wrinkle-free and are yet to feel the effects of the middle age spread, confidence was pinpointed as the top reason for the finding followed by falling in love and enjoying a stable relationship. Interestingly, more women said they felt confident without make-up (17 per cent) at the age of 29 than they did with a fully made-up face. But stress, tiredness and being in the presence of beautiful women made them feel less attractive in the St Ives skin care poll. That’s St Ives, the beauty product company, so it’s easy to see why they might want women to worry about their looks after the age of 30. Nicole Melmore, brand manager at St. Ives, said: ‘From age to occasions, our research shows that beauty really isn’t skin deep. 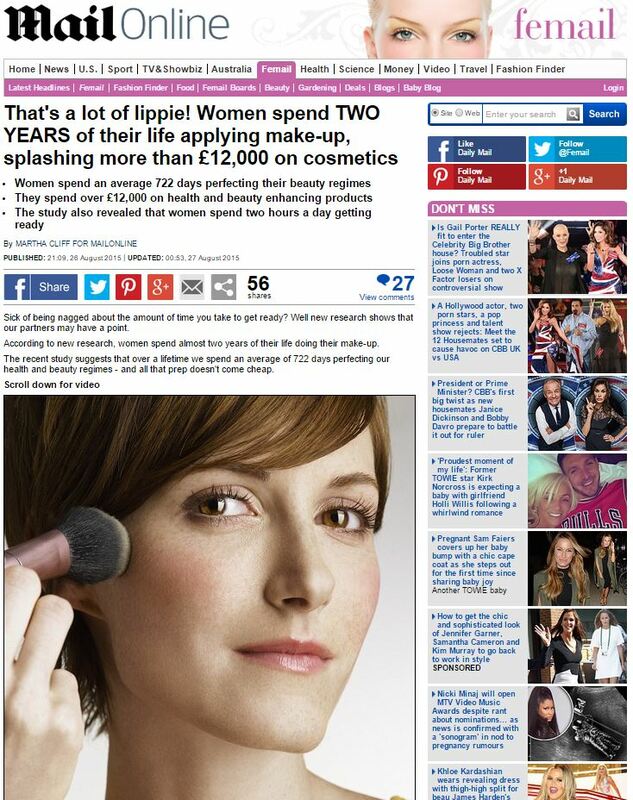 ‘In fact, with more women stating that they feel more beautiful when they are at home without their make-up on (17 per cent) compared to when they’re wearing lots of make-up (seven per cent), it seems that feeling attractive isn’t just down to having a perfectly made up face. Just kidding! We paid a PR firm to come up with an article aimed at making women feel insecure about their age and looks, so really it’s pretty clear that we’re all about shifting product. Have you noticed how bad your crows feet are?! At least, she would have done, had the world been a fair place.